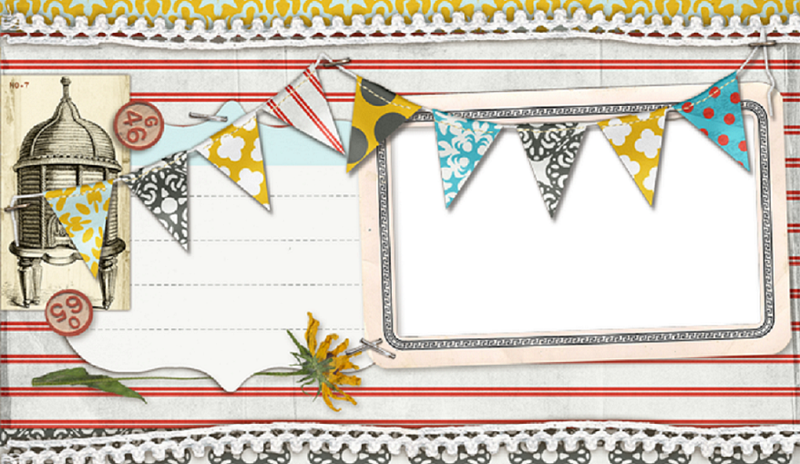 This is Becky and I am rounding out this month's Design Team projects. Today I am sharing a card I made using a lunch paper bag. I also did some sewing for the first time this month using a machine. It's far from perfect but not too bad either! I found this card on Pinterest and loved the idea of making a card from a paper bag. I folded both end of the card in and cut a small strip off of the bottom portion so that both ends were open. I then sewed a pocket using the bottom half. I created a card for the inside with a sentiment and embellished with paper and jewels. The belly band on the original card is what really caught my eye. I added a flower I made using scalloped circles cut from dictionary paper. I found a dictionary at the dollar store a few years ago and I am still using it! Next week I'll be back with a layout and a project. Happy weekend and thanks for stopping by! Cute card Becky! I especially love the belly band feature.